With development led by renowned game veterans Rade Stojsavljevic (Command & Conquer, Blade Runner) and Shawn Carnes (League of Legends, World of Warcraft), TOME: Immortal Arena advances the MOBA genre to its action-first brawler core. Emphasizing combat and action over laning and grinding, matches average 10-20 minutes in length, ensuring that while the road to arena glory may be brutal – it will never be boring. 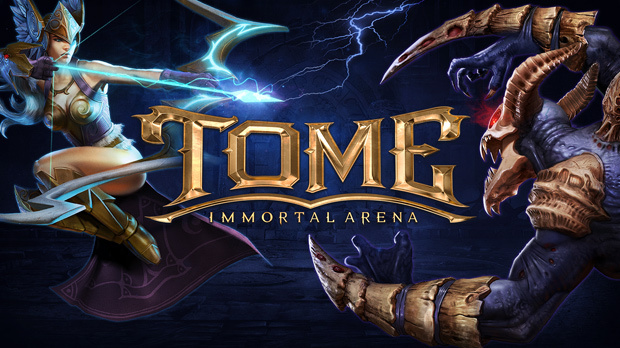 Welcoming both experienced and novice players into the ring, TOME: Immortal Arena has been strategically designed to make the MOBA genre fun and exciting, while eliminating unintuitive elements. Traditional MOBA gameplay mechanics like last-hitting, returning to base fountains for healing, and complex item recipes have been removed, setting the pace for quicker, action-packed combat where players rarely leave the frontlines of battle. TOME: Immortal Arena is free-to-play, and will be available on Steam on November 21st, 2014. A genre expanding 7v7 map is currently in development with more details to be revealed in the coming months. Visit the TOME: Immortal Arena Steam game page. For more information, visit www.tomeimmortalarena.com. To receive the latest updates and news about TOME: Immortal Arena and KIXEYE, LIKE us on Facebook at www.facebook.com/tomeimmortalarena or follow us on Twitter @TOME. Closed beta registration has begun for Dragon Crusade, a new MMORTS from Aeria Games.